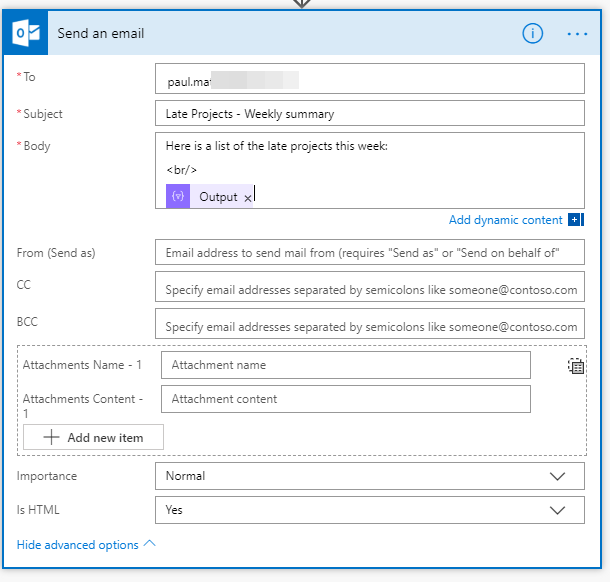 These are two simple examples but as you can see, it’s very easy to build Project Online related emails using Microsoft Flow. I have some more examples in my next posts coming soon. 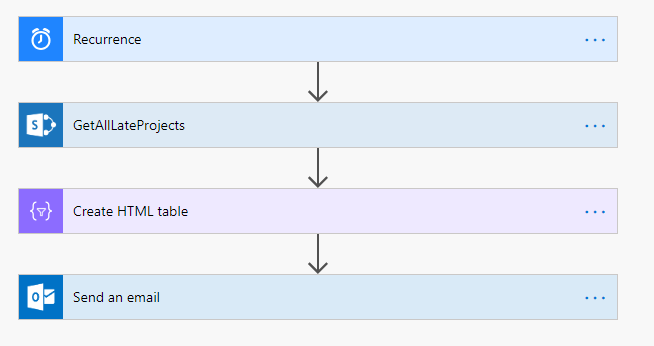 Repeat this process for other work items as needed such as Tasks, User Stories or Features depending on what board process your project uses. 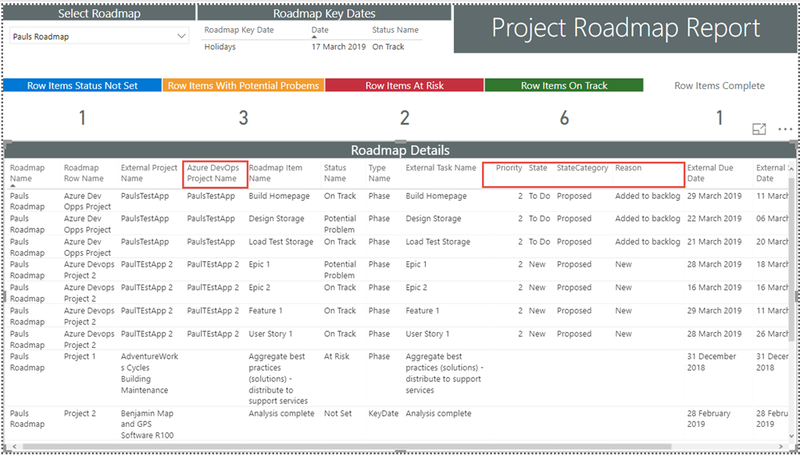 For example, if your project uses the default Agile process you will just need to update the User Story work item to add these fields. 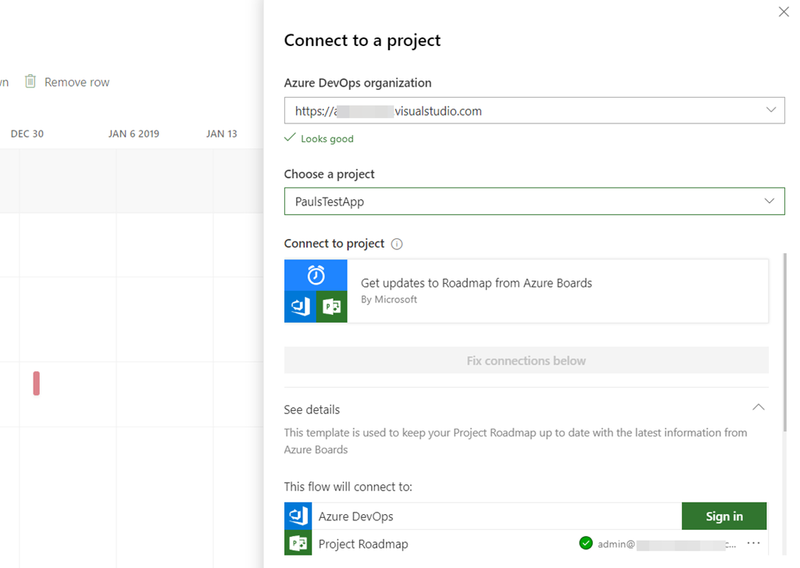 Now with some example Epic work items created in my test Azure DevOps project, each with a start date and target date, I can move over the Roadmap. 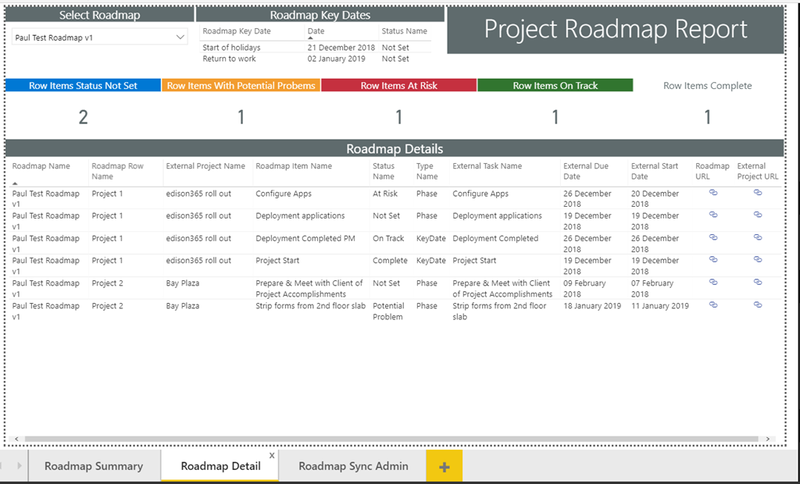 This data will be kept in sync using Microsoft Flow just like the Project Online projects. 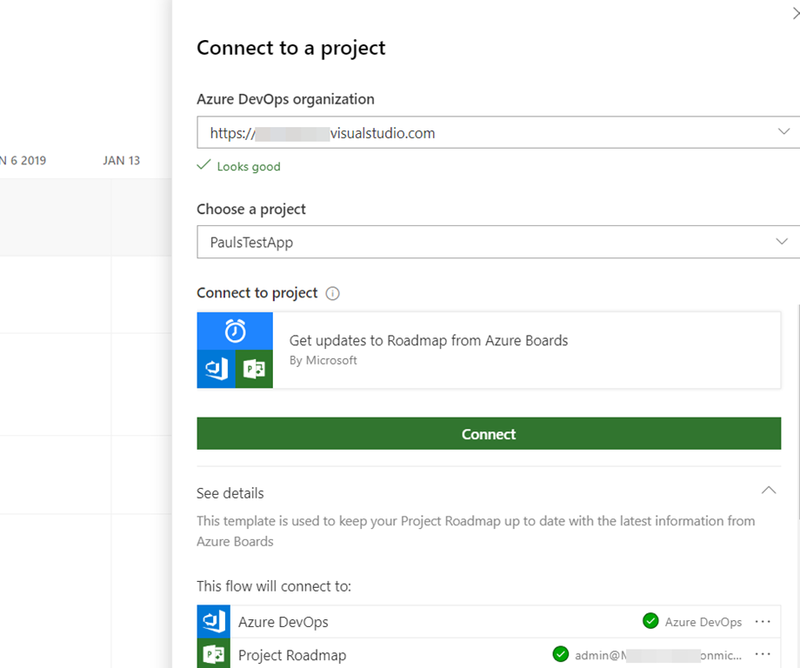 The Project Online projects Flow runs every 5 minutes by default where as the Azure Board project Flow runs every hour. 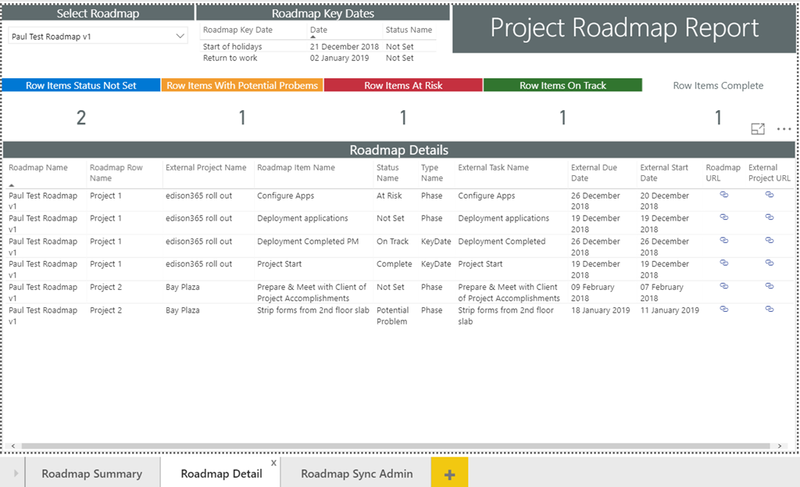 In the next post we will look to combine the Azure DevOps Project Board data with the Roadmap data in Power BI. It’s that simple, take a look and see what you think. 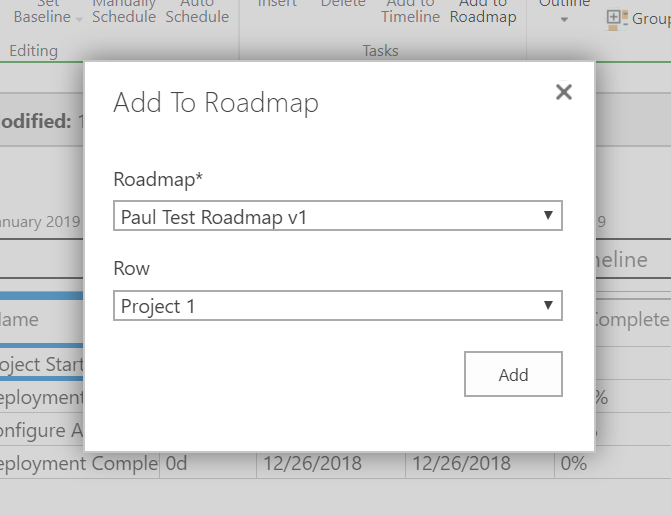 Have you used the new Roadmap feature from Microsoft yet? If not, why not! 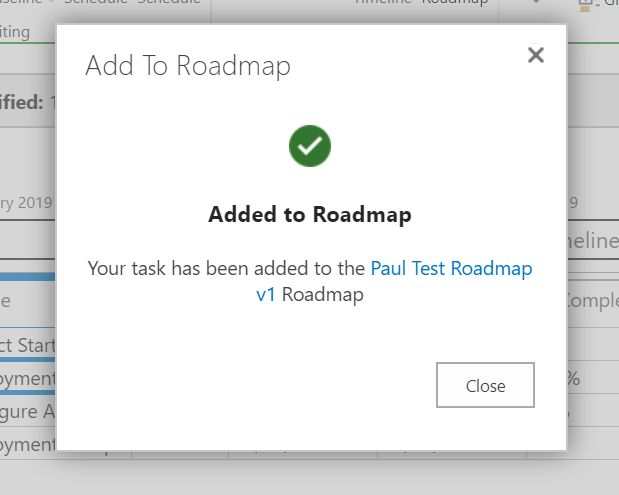 Over the last few months I posted several Roadmap related blog posts. In this blog post I have summarised all of the posts so that all of the post links are available in one place. 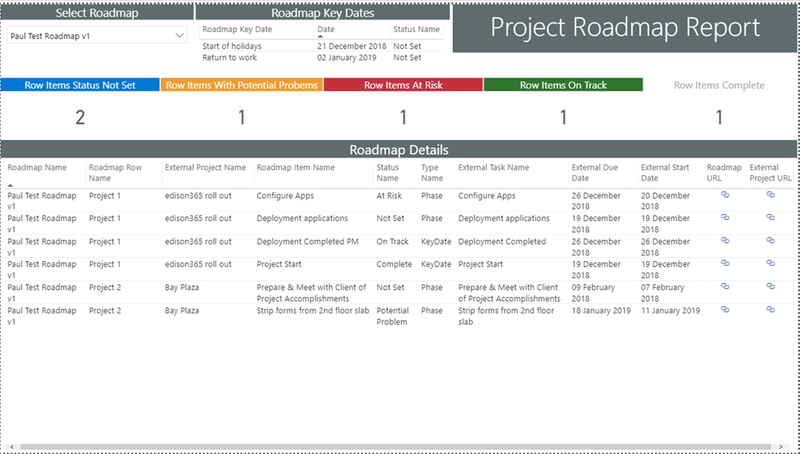 If you haven’t used Roadmap yet, take a look when you can! 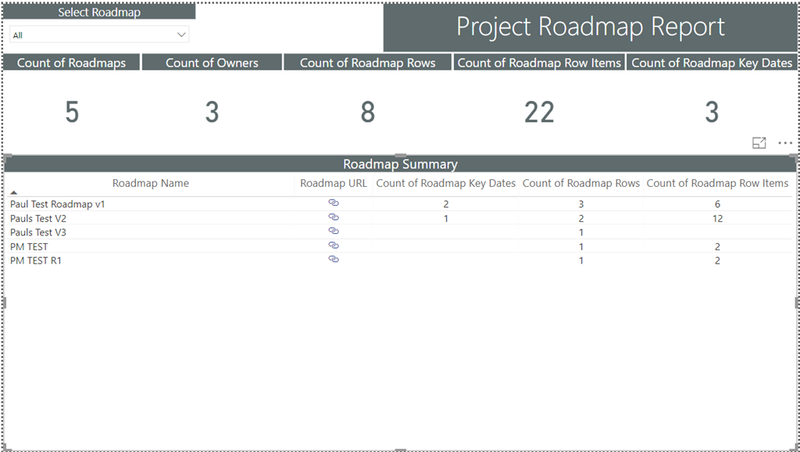 Also, see what you think of my Roadmap Power BI Report pack to get you started on reporting. 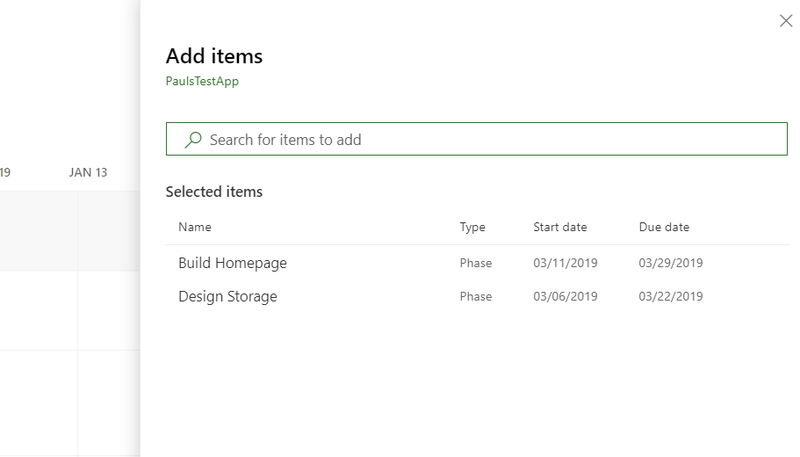 Now you will find the Create New > Project button and the “Go to Project Web App” link will open in the new target PWA site collection. 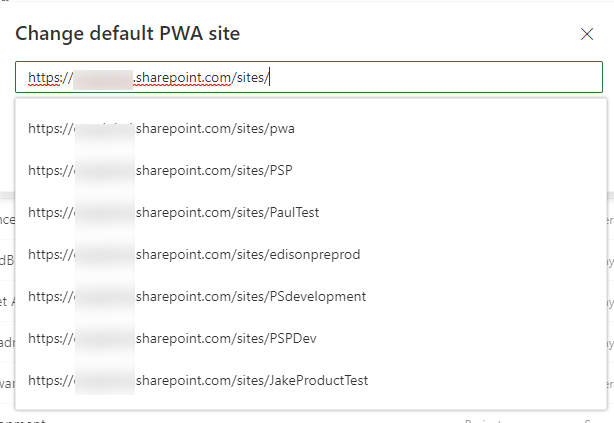 Reset to default will update the PWA site back to /PWA. 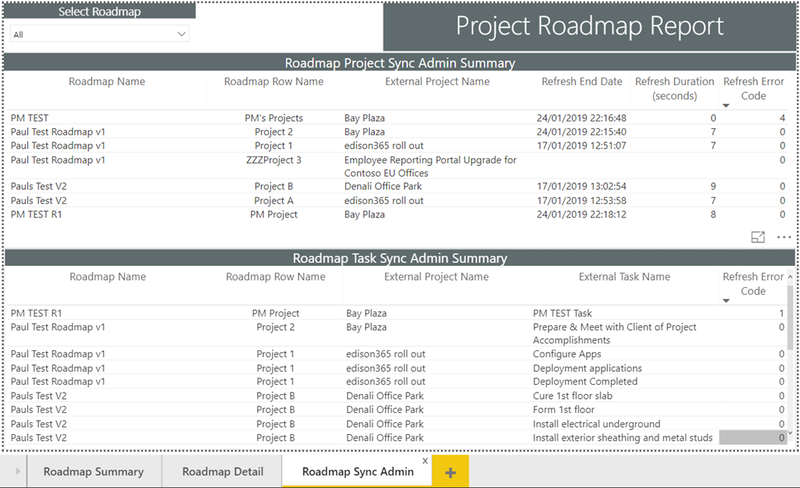 A great improvement that many organisations have been asking for! 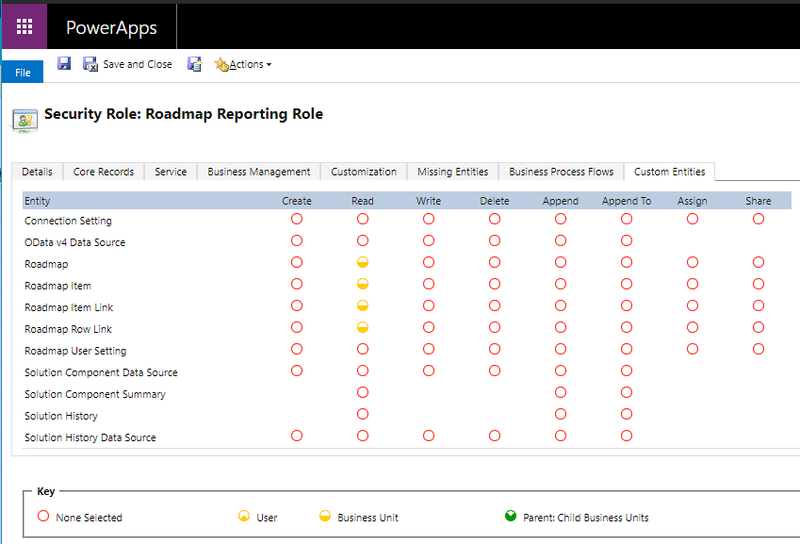 Now the report will be able to access and load the data. 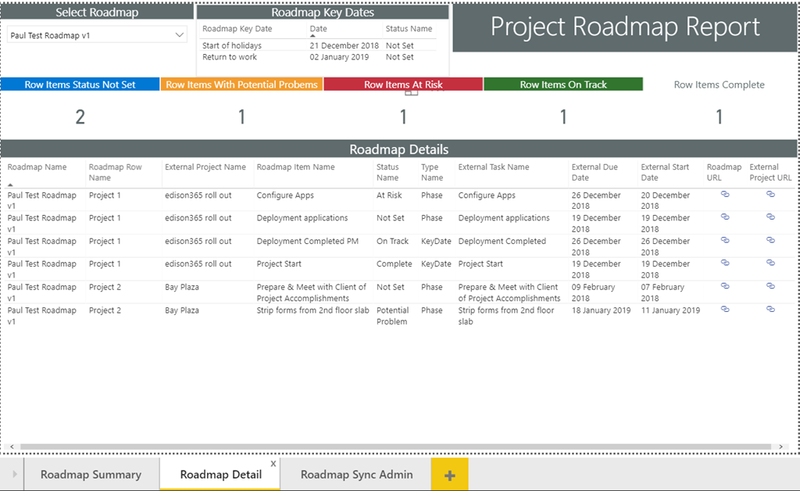 The report will update with the data from your Project Roadmap environment – this might take a few minutes. 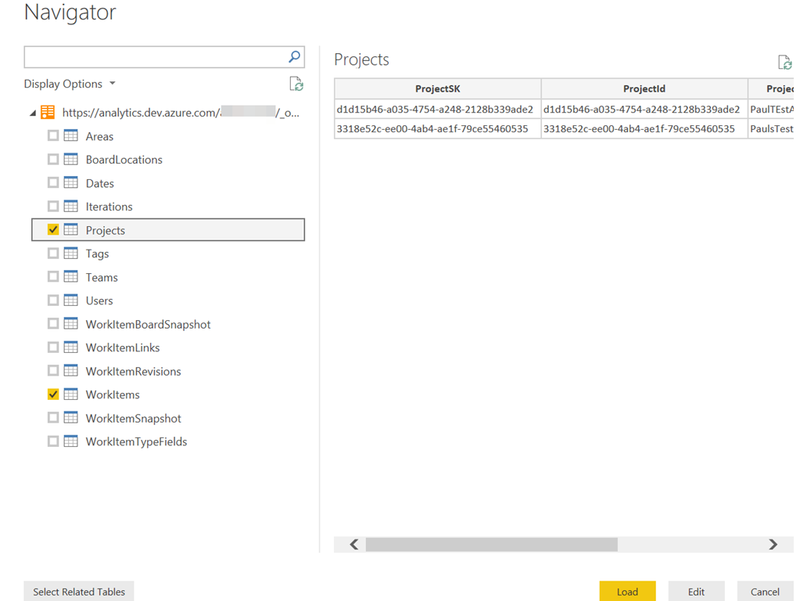 Publish the report to the Power BI service and distribute / share as required. 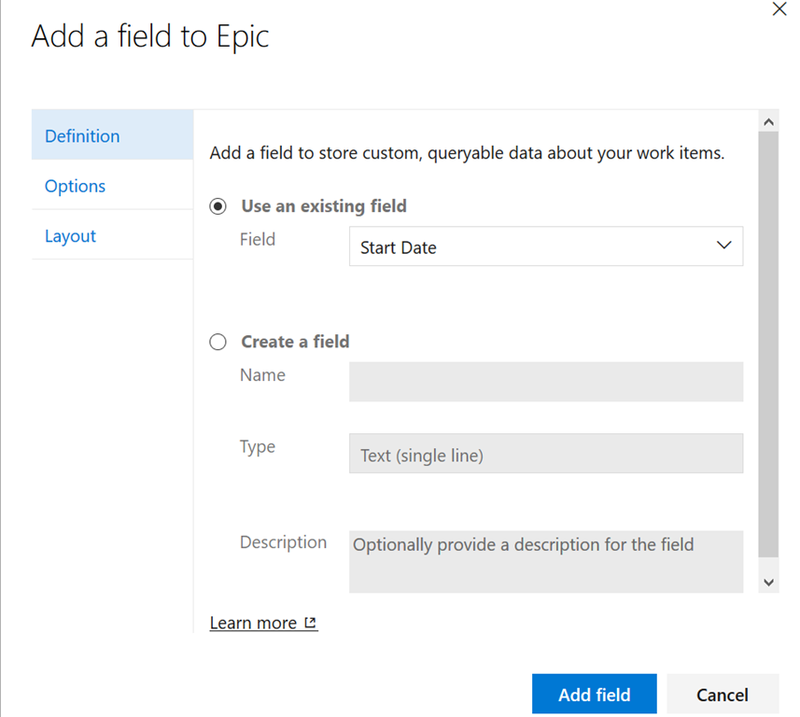 Your Office 365 administrator / Dynamics 365 administrator will be able to help you out with the correct user account to use as they will probably have a preferred approach to granting access that might be different to the way I have done it here. 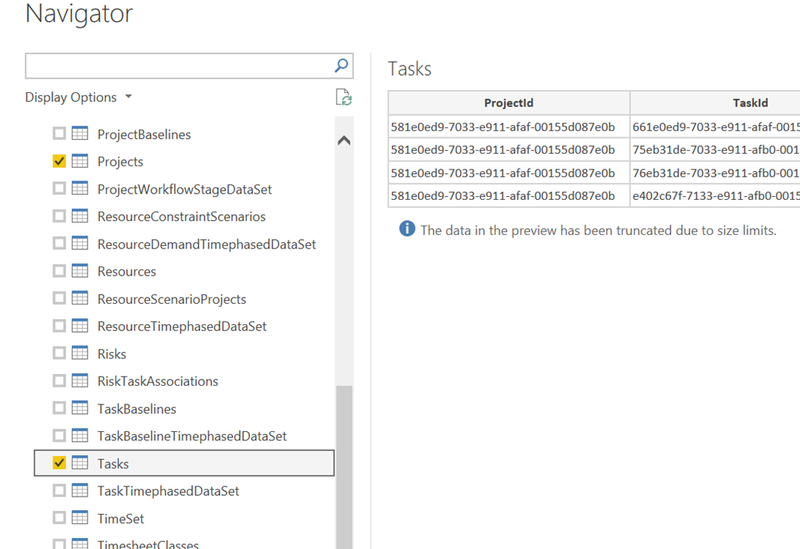 Or they might want to set up this report, publish to Power BI and give you access via the Power BI service. 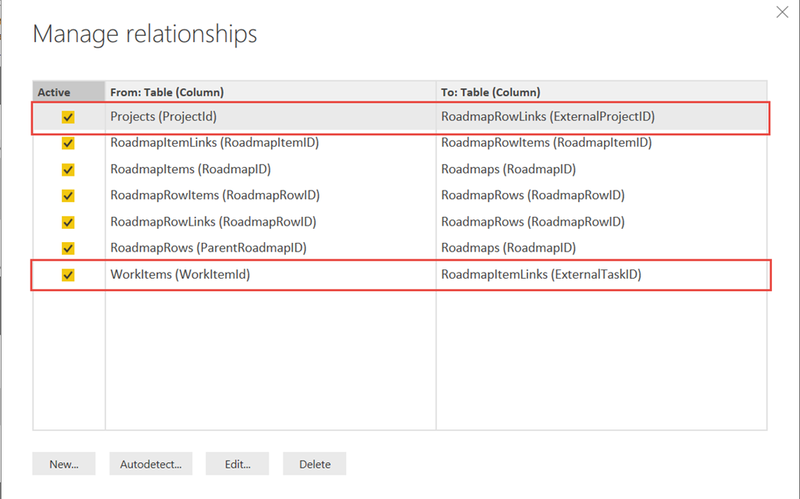 This does use the Power BI Common Data Service for Apps (Beta) connector – so this connector could change when released and the report might require some re-work. I hope you like it and find it useful. 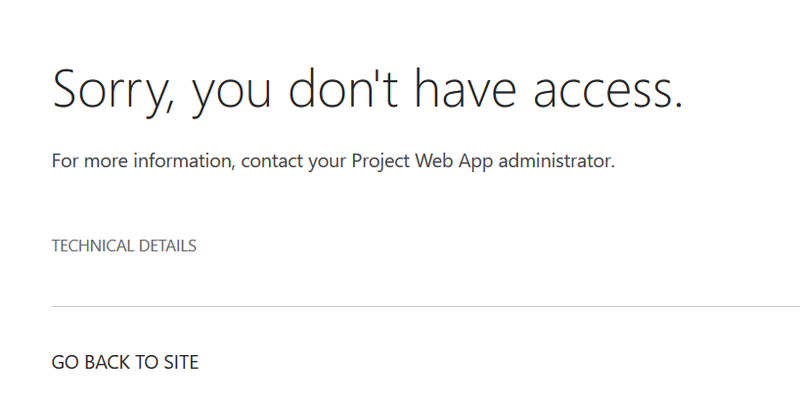 The value in the response body is: "This project either does not exist, or has been deleted. 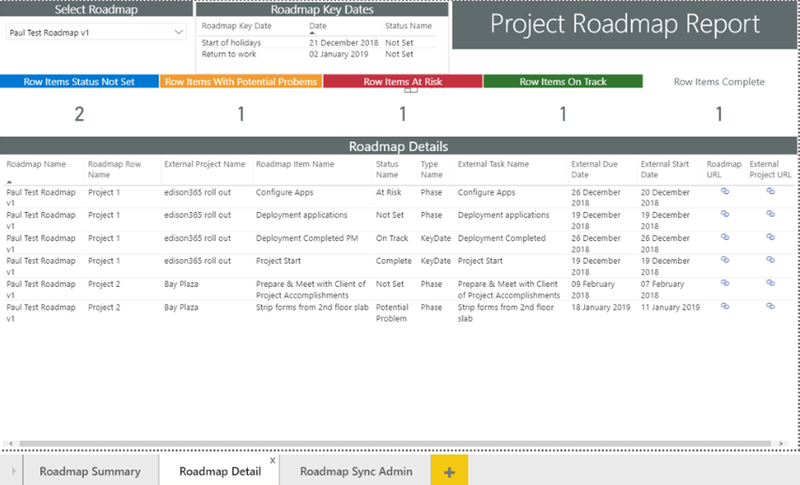 Only QueueJobs can be accessed from a deleted project." 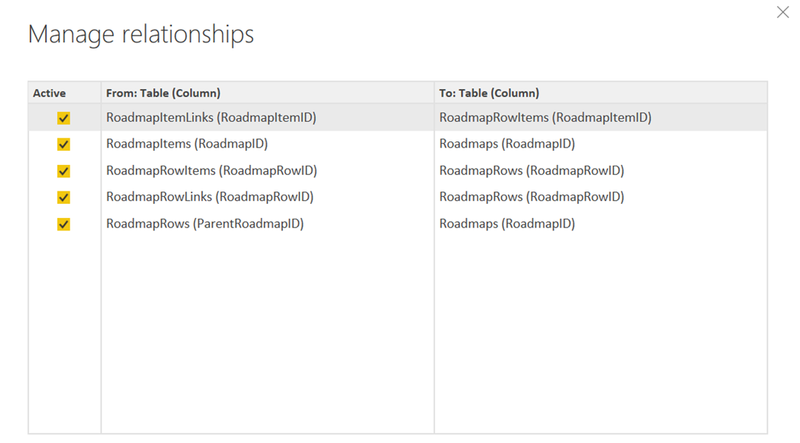 The Flow then continues and updates the roadmap data to mark the link as deleted. 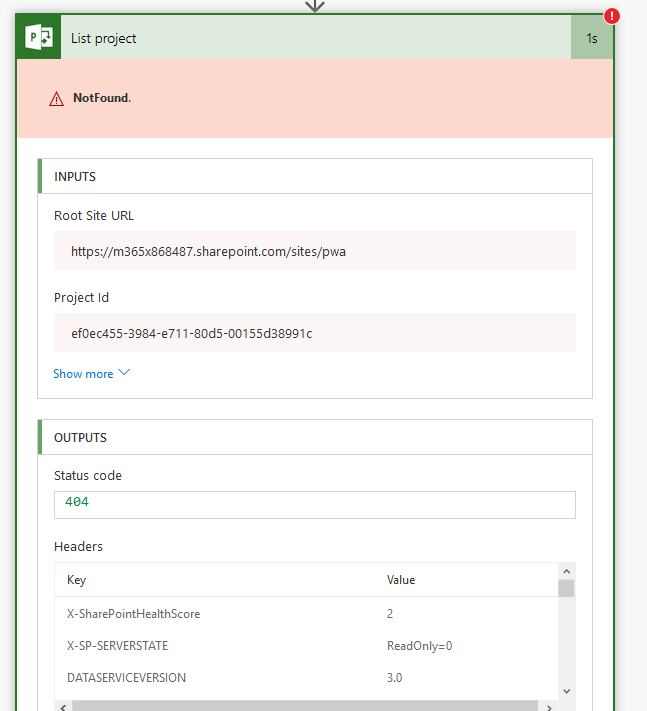 For this scenario the error is misleading, the issue is that your account that was used to set up the link to the Project in Project Online now longer has access to that project. 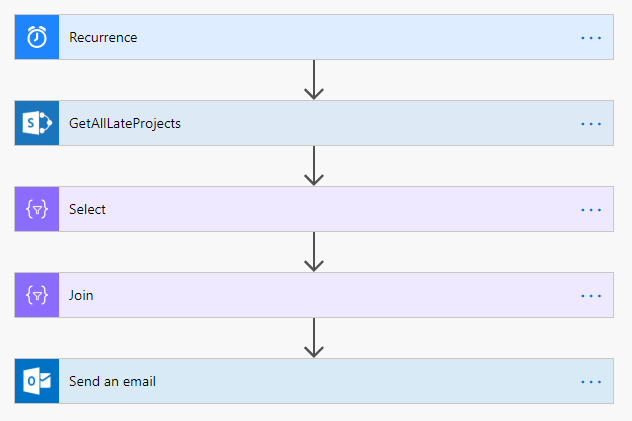 The List Project Flow Action which uses the CSOM API which is security trimmed. 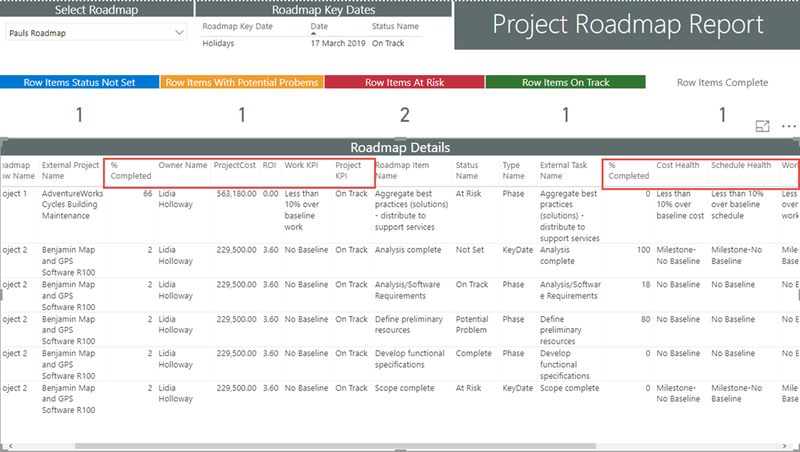 If your account is later then given access to the linked Project in Project Online, the next time the Flow runs, that row will update as expected in the Roadmap if the Project has been updated in Project Online within the 15 minute last project publish check in the Flow. 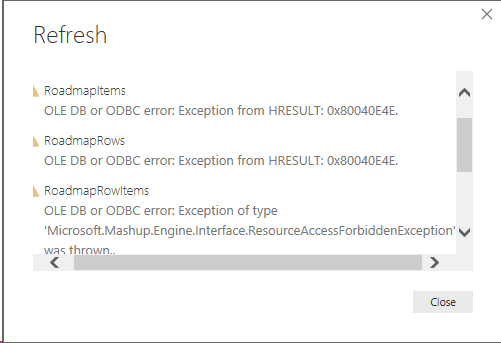 Just something to be aware of if you come across this error – your project might not have been deleted! 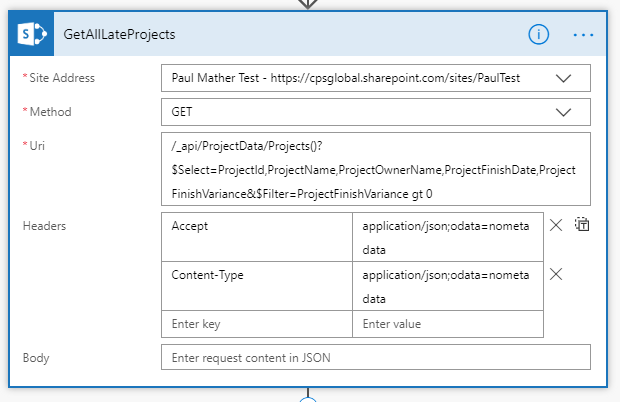 I have also used the Power Query editor options to remove fields I do not need, renamed fields etc. 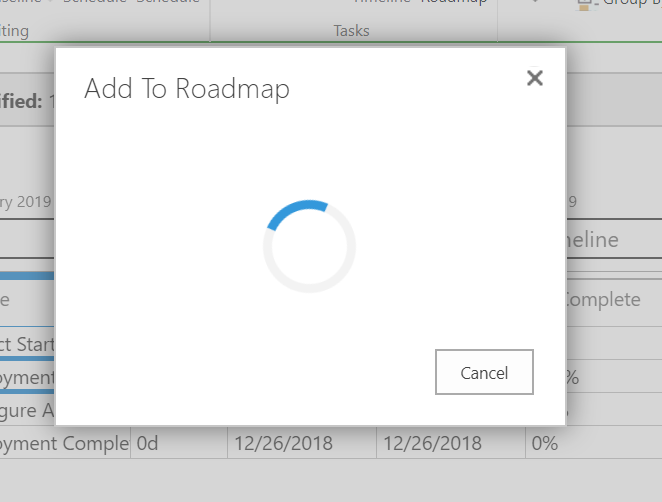 but that is standard Power BI functionality. 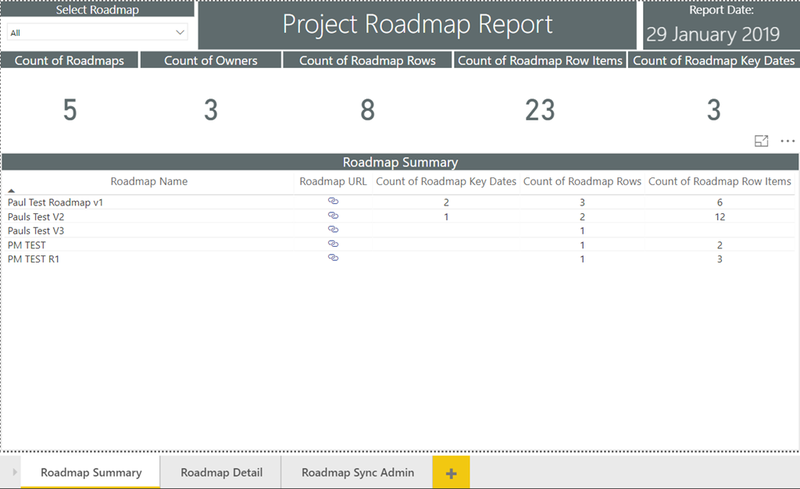 I will be releasing the Power BI file to download later this week that can be used as a solution starter for your Project Roadmap reporting. 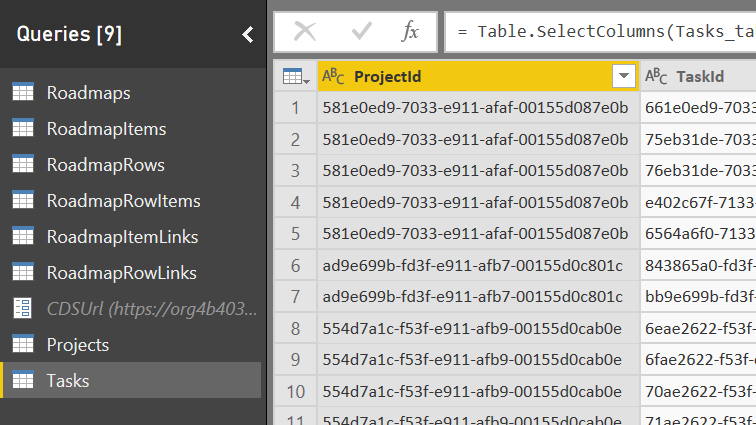 I will then create a blog post on how you can bring in other data from Project Online into the Power BI file. 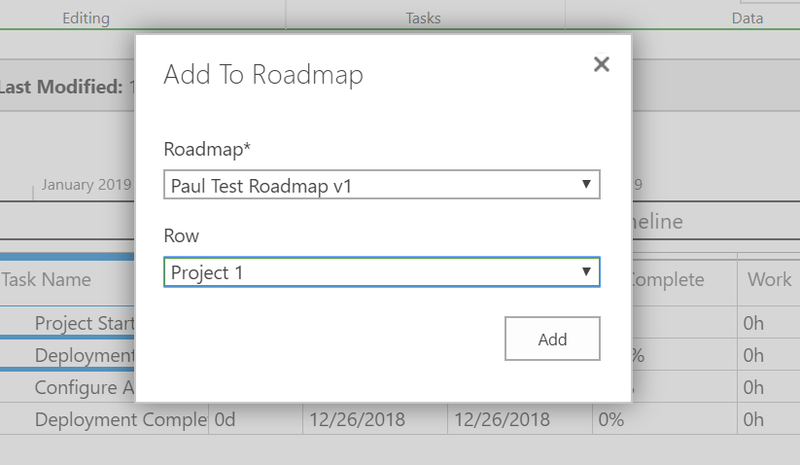 This new Add to Roadmap button is on the Task tab on Schedule Project Detail Page. 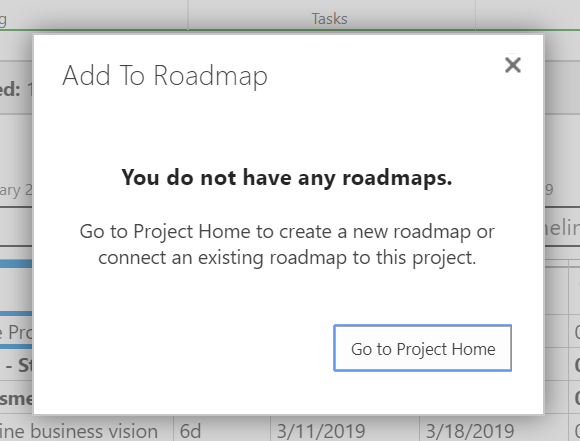 This enables you to add published tasks to a project roadmap directly in Project Online PWA without having to navigate away to the Project Home, open the Roadmap then adding the tasks via the Roadmap interface. 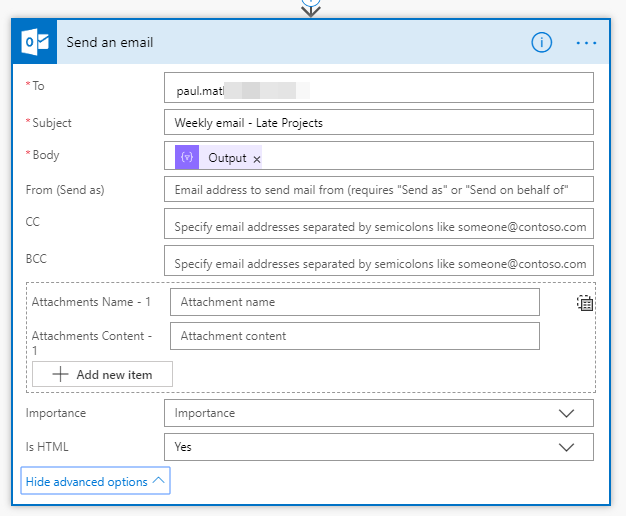 A great enhancement to Project Online!